This deliciously moist mini banana bread loaf is made in the blender- perfect for when you just want a slice or two and you don’t want a big mess to clean up! Don’t have a mini loaf pan? No problem, you can make 3 banana muffins! Have you ever just wanted to make yourself a treat and not have to share one bite of it with anyone else? I mixed up this little banana bread loaf in my blender, baked it, and ate it all while my son was napping. Yes I did! It felt much better than standing in the pantry eating a whole candy bar. When our oldest son was a toddler he would often smell something delicious that my husband tried to sneakily eat. He would then pry my husband’s mouth open and demand what he had eaten! Sometimes a mom (or dad) just wants something -anything- to call their own. I think I will forever be shooing my kids away from the last banana so that I can enjoy it in this mini blender banana bread all by myself. I’m excited to be able to offer one of my readers a Designer Series Blendtec Blender plus Twister Jar! YOU GUYS!! You didn’t even know that you wanted a blender but I can assure you that this blender will floor you. As many of you know I have been very sick and am home recovering from surgery. I have been doing the bare minimum to keep my home running but the day that I opened this blender I used it 3 times! Two days later and I had made smoothies, juices, pizza dough (!! ), cookie crumbles, and this bread. I can honestly say that this blender has earned a place on my kitchen counter top. There are so many blender recipes that I’m eager to try now! This blender banana bread loaf came together quickly and cleanup was a breeze! I hope that you’ll try it. If you don’t have a mini loaf pan you can make 2 muffins. This deliciously moist mini banana bread loaf is made in the blender- perfect for when you just want a slice or two and you don't want a big mess to clean up! Don't have a mini loaf pan? No problem, you can make 3 banana muffins! Preheat oven to 350°F and spray a mini loaf pan (5-3/4 by 3-1/4 by 2-1/4) with nonstick cooking spray. Place banana, butter, brown sugar, vanilla, and egg in the blender jar. Secure lid and mix until combined. (I used the BATTERS button on my Blendtec.) Add the dry ingredients and pulse until combined. Pour batter into prepared pan and bake 30-35 minutes until a toothpick inserted in the center comes out clean. Let bread cool in the pan 5 minutes before moving to a wire rack. If you are making 3 regular sized muffins instead of 1 mini loaf start checking for doneness at 20-25 minutes. Feel free to add chopped nuts at the end of step 2. 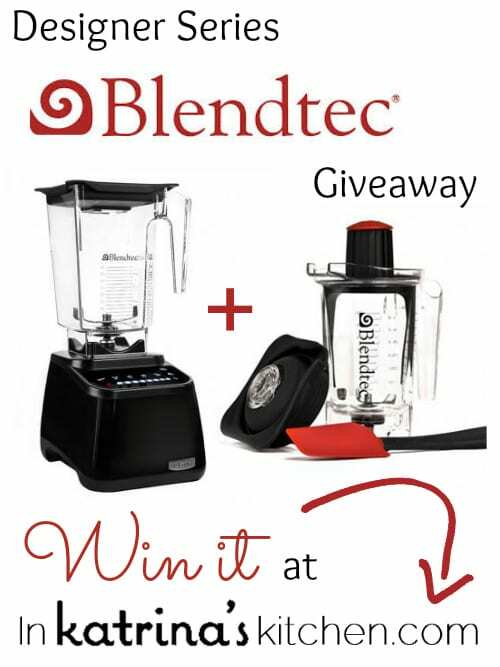 One winner will receive A Blendtec Designer Series Blender plus Twister Jar– a $575 value! Please use the giveaway entry form below and leave a comment on this post to be entered. You will have the opportunity to earn bonus entries after you leave a comment. By entering this giveaway you are agreeing to the Official Rules. This giveaway is a sweepstakes. Open to continental USA residents over age 18. Winner(s) will be chosen by random, announced here, and will be contacted by email. Winner(s) must respond within 48 hours to claim the prize. Disclosure: I was given a Blendtec blender to review. As always opinions are 100% my own. I’m loving the idea of blender muffins/bread! I use my crappy blender for smoothies; I’d love more ways to use it! I would love to win this, as my son took our blender when he moved out! I love the mini bread! This us awesome! It’s only me and my husband who likes to take mini things to work! Love it! This is great! older blenders can’t always do this, especially with dry ingredients. Batters mode… this bodes well. Will it Blend?? Love Blendtec – the bread looks great as well! I love this tiny little loaf! I would love to win this blender! Glad that you’re back and hope that you’re doing well. I have missed your posts. With only two of us in the house, I love the idea of a mini loaf! What a great way to use 1 banana. When you don’t have enough to make a full recipe of banana bread. Oh this looks awesome and genius! Great recipe for kids or grandkids to make. I don’t always want a full loaf – this sounds like it will work out great! Can’t wait to try it. I love banana bread & single serving is perfect! I need it, I want it, please!!!! My favorite bread! ….AND my favorite blender! Thanks so much for the giveaway! i’ve had just a couple of bananas staring at me The last few days…… Now I know what’s gonna happen to them! I so love banana bread and this blender would be amazing to win for Christmas! The Blendtec blender sounds amazing! This is so awesome! I am tired of shoving those ripe bananas in the freezer…. I would love this beautiful machine! First recipe I try will be this single serve banana bread! Big thanks for the Single serving Banana Bread recipe… So many times I end up with just 1 banana left…and my freezer is over-full, of ripened bananas…This will be perfect !! You have no idea how much I NEED this blender in my life!!!! I love banana bread and love the idea of making a mini loaf! I will definitely be making this! love the Blendtec blender. Awesome giveaway. Ill be able to do a lot of stuff with this. Your recipes have saved me so many times. And this banana bread will be perfect for breakfast, hmmm fresh banana bread with melting butter and a slice of cheese. Perfect. Thanks for such a great giveaway. I’ve been craving banana bread! This is perfect! My daughter would love this banana bread! This recipe looks great. I will have to go buy bananas today. Great giveaway. I have been wanting one of these blenders. I love the idea of making this in the blender instead of digging out the mixer, bowls, etc. Hope you’re feeling better! This looks amazing, banana bread is my favorite! Would love this recipe and the blender! Looking forward to trying this bread 🙂 I would so LOVE to own a Blentech blender! Single Serve Blender Banana Bread is brilliant! Can’t wait to make this! Is it bad that I eat the “regular” sized loaf by myself? I’ve been looking for a blender that will wiz through a day of fun in the kitchen. I believe you have found it, and bonus, it even looks nice! I hope you’re doing better! And this is such a great recipe idea! My 12YO son informed me that I need a Blendtec after using one in CTE class. This recipe sounds so good, and I would love this blender! I would love love love to win this blender. I have been without a blender since I moved into my house 10 years ago. I know how do I do it. I don’t know to tell you the truth but I get by. Small portion great idea. Nothing left to tempt you later when willpower is gone. Love the blender and would love to have it in my kitchen. Wow! This would save so much time mashing the bananas with my potato masher.. and it’s quick and simple. Love it! Oh yum. Love banana bread. I have heard good things about blendtec. Just found this site. Love the recipe. Never thought of using a blender before, But this sounds like an excellent idea. I have this on my wish list, but never gave a hope I would get. Now maybe….. I own practically every kitchen gadget and tool known to man, except a blender. It would be great to own such a nice one! I love banana bread but my husband doesn’t so this recipe is just perfect for one. I just made banana bread last night! This looks way easier than what I did! I so need a Blendtec! I make smoothies for my kids every day, and I keep buying less expensive blenders that don’t work well. I have never thought of using an awesome blender for batters! My two boys love helping me bake banana bread, and we use frozen bananas to make it even tastier! Ah, I was just reading about how to make your own almond milk – this would be perfect! For so many other things too. I love to make a good banana bread to send to the troops. These breads are a perfect idea for holiday gifts! I love banana bread, but I’m really the only one in my family that does 🙁 so this recipe will come in handy when I get the banana bread craving. oooh! I cannot wait to try this recipe! Thanks for the chance to win! I’ve dreamt about owning a blendtec forever!! It would be great to win one. Thank you for hosting this awesome giveaway! ~I’d probably at least double the recipe and make a standard loaf or multiple mini loaves to share. OOOOOOOOhh,the things I could do with this blender!!?! I LOVE all of your recipes. They look AMAZING!!! Love this idea! Love this blender! How cool! I love that you can make just 1 mini loaf that is perfect! Wow! What a fabulous idea. I would love to win this. My daughter is off to college and this would be an amazing gift. I’m always looking for something sweet and this would be perfect for just me. Now I would not have the notion to bake a cake or a batch of cookies for just myself. I have these thoughts all of the time and have to keep saying no, no, no because I would eat the whole thing!! Thanks for this giveaway. The last comment was mine [email protected] it posted before I could update error. I appreciate the smaller serving recipes. Sometimes you don’t want leftovers, or in the case of treats like this you don’t want the temptation. I love the idea of making a quick banana bread in the blender. Now I just need a blender so I can try this recipe. Yum! I live by myself, so this is PERFECT when I’m craving something sweet. Thank you for sharing! Wow! I have never thought of using a blender for things other than smoothies! Genius! I am intrigued by the pizza dough blender recipe!!! I want to see what other recipes are out there!! Thank you for the inspiration! I usually only use my Blender for smoothies so it would be fun to win this and try new recipes! Love it! Can’t wait to try this. How neat! i enjoy (and my husband enjoys) a lot of your recipes. Some days, they come right at the right moment too! God bless. I think this would be a fantastic alternative to a Vitamix. Thanks for the great giveaway, Katrina! I’ve heard such great thing about the Blendtec blender, hope I WIN! Looks delish!!!!!!! What a fantastic recipe! Works be awesome to win this, I’ve wanted to try juicing too. What a great idea! Hope you’re doing better! I’m always surprised by the never ending possibilities of a good quality blender! I live alone so I love single serve recipes and banana bread is one of my favorites!!! I’ve always wanted a Blendtec! These look amazing too! Wow! This is awesome! Perfect recipe for our little RV! A single serving is wonderful! Looks so delicious. Omg, the blender would be like receiving a miracle. I would never be able to purchase that being in college! I have a couple of over ripe bananas in my kitchen right now. Alas …big sigh….. I don’t have a blender. I’m still gonna try the recipe. This sounds like a great recipe….that I can even follow! 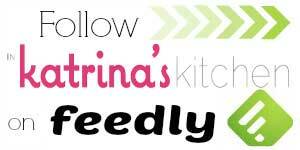 Thanks for the great giveaway and your awesome recipes on your site. I have been printing them left and right for the last 30 min. Thanks again, gotta go and start baking! This is the coolest thing ever!!! LOVE! I have definitely snuck food when the kids are around. I just can’t help myself. Thank you for doing this giveaway. I love Blendtec! wow that looks so incredibly easy. i didnt even know you could do that with a blender! A blender that has a batter setting? GENIUS! My blender broke over 6 months ago and I need my smoothies!!!!!!!!!!! I NEED a good blender! I could really use a new blender, and this one would really be a plus to have. What a wonderful recipe. Thank you for sharing! Great recipe – can’t wait to try this weekend. Thanks! All your food looks so yummy! Holiday prep would be so much easier with a blender! I alwaysss try to make single serving desserts, but then I never scale back the proportions correctly and end up with weird messes. so this sounds perfect! Wow, no excuses for not baking with the Blentec! Thanks for sharing your recipe! Perfect when I don’t feel like making a whole batch of banana bread. I bet the BlendTec makes it super easy! 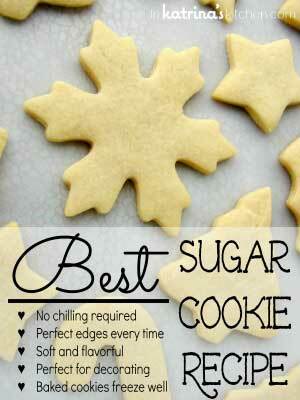 I love this recipe idea! Sometimes I just want a little snack or taste, not a big loaf. Thanks for the recipe and the giveaway! Been wanting one of these since my son told me about it a few years ago. Thanks, Liz @ The Lemon Bowl for posting about this giveaway! How neat is that? Making banana bread in the blender!!! Banana bread with cinnamon butter is to die for! I can’t wait to try this banana bread! Found you on pinterest! My husband loves banana Brad but I never make it because of the mess! Can’t wait to surprise him and try this out!! I’m looking forward to making banana bread in my brand new Blendtec! I haven’t tried blender bread or muffins yet. I gotta get on that! I had no idea the blender could make batter for bread! Yum. Blender banana bread? Ingenious !! Thanks for the great give a way! I have had my eye on this blender for a long time. Would love to win!! I would love one of these blenders! Awesome way to use a blender! I’ve gone through 3 cheaper ones from making so many smoothies, never thought to use it for batter!! I love this recipe for a single banana bread, great idea! my cheap blender recently broke and I cannot afford to replace it. I would love to win! What a great idea! I never have more than one ripe banana so I rarely make banana bread and I love banana bread. This looks amazingly yummy and so easy! I have been eyeing this blender for some time now – I hope I win so I can try some blender recipes, they seem so convenient. I am so excited about this blender. It does it all. Who knew you could make banana bread in your blender. Fingers crossed that I win! I make a lot of mochas and wear my cheap blenders out quickly. 😉 I can tell my current one is on it’s last legs…so I would really love to win this blender!! I would love to start making smoothies in the mornings! The versatility of these is kind of amazing. I’m sharing this recipe with my niece who loves Banana bread. This is perfect for a new college student. Great idea! Hope you recover quickly. This looks delicious! I love banana bread and haven’t had it in ages. I have this mixer on my Christmas Wish List…I would love to get one from you!! I’ve had a Blendtec on my wish list for several years now. I love the power and versatility–and would love to win! Thanks for the chance. Hope you feel better with each day. I would love to win a Blendtec! Thanks! Would love to win this. Making banana bread is my favorite treat! Banana bread is the best! I’ve never thought about using a blender to make it though. Genius! Plus, the small scale recipie is perfect for those like me who live by themselves. Thanks for sharing! Great idea and thank you for the giveaway! I wish I could use my blender for this, mine is on it’s last legs. I would love to have this blender. I love to bake, but unfortunately my blender is no longer functioning. This is such a strange idea to me, but so cool! Thanks for the recipe and thanks for the chance to win! AWSOME recipe , it’s great potion control with the mini loaf. Sounds like a great recipe for those of us who live alone. I was just in Costco and they were doing a demo of this blender. It was under $300….I didn’t realize you could do so much with it. I only saw them juicing. I love banana bread and I love it even more when it is quick and easy! Thanks for a great recipe and giveaway! I love this recipe. Banana bread is one of my favorite baked items, but a whole loaf is too much to eat. Single servings are the best! Glad you’re back and feeling better! Thanks for this giveaway! I’m in dire need of a new blender! Thanks for the giveaway! I would love a new blender. I never knew you could do so much with a blender! I would love to win this! This banana bread recipe sounds (and looks) delicious — would love to try it! I would love to win. I don’t have a blender and would love to win this one. Look forward to winning this! i would love to win cause i think this would help be a good aide in my diet. I would be in heaven if I won this. I would love this blender!!! I love smoothies. This would be an awesome win. Looks great! Not a use I would have considered for a blender! So cute! I could use a new blender — thanks for the giveaway! I would love to win this blender. Thanks for the great giveaway! Can’t wait to try this recipe and fingers crossed that I get to try it in a new Blendtec blender! I would love a new top-notch blender!!!!!!! What a great idea! Instant portion control. I would normally eat the whole big banana bread loaf in about 2 days, I have no self restraint! Thanks for the recipe. I’m in need of a new blender, would love to have a blendtec! I would love to try banana bread in the blender….who knew????? Oh my goodness! I would melt! My blender is broken and I was hoping to get one when we got married but we just did it just the two of us so no presents!! This would be the biggest blessing ever!! Fantastic! Little indulgences make life better. Going to try this out today. What a beautiful blender. I could really use this. I would love to have a blender in my kitchen, and I think this one would be perfect!! I love the single server recipes. I have always wanted one of these. Thanks. Looks like excellent banana bread! perfect size for a single girl like me! That is amazing! I’d love to win! Mmmm, that looks so good! Yum! Can’t wait to try it! Entering in the give away too! I am all about the single serving. Would love to win the blendtec!! A good blender is a must for all kitchens!! This is great because so often I just want a little of something instead of a whole big loaf. I know I will be making this and it sounds so good. Thanks so much for the chance to win this great giveaway! Oh! I would love to win this blender! Thanks for the giveaway! I agree, sometimes having something just for yourself is so delightful. Wishing you a speedy recovery! And i would love to win this blender! 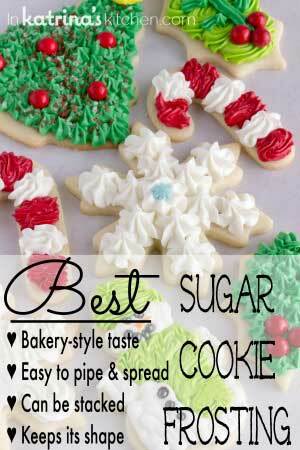 Since i make lots of cookies and breads to give as gifts for christmas. I have a blender that doesn’t even crush ice! And no way i could afford something like this one! Will be crossing my fingers! This mini loaf looks like a triple serving…but I am totally okay with that. Banana bread is one of my favorite comfort foods! Wow, nice gift! I would love to have one of these – the Rolls Royce of blenders! I make banana bread at least once a week ~ would love this! Wow! Would I love to win this!! What a great use for that last banana nobody will eat cause it’s turning brown and there’s usually not enough to make banana bread!!! Glad u are back. Look forward to your posted recipes! I’ve enjoyed the recipes and can’t wait to start trying try them for small amounts. Never would have thought of making quick bread batter in a blender! What a great idea! My 86 yr old mom has just started making smoothies so this blender would be great for her! I love, love banana bread. So awesome that you used a blender to mix! Looks fantastic. I’d love to win this blender! OHHHH I’ve been wanting one of these!! Brilliant way to keep me from eating an entire loaf myself! Would love to win! This sounds delicious! I would love a Blendtec! I’ve been trying to eat more healthy and want to start making green smoothies – this would be a great blender for that! Thanks for the opportunity! This is genius! I need to go make this right now! What a great idea! Thanks for this recipe! Can’t wait to try it. Would love to have this to make my grand baby’s baby food. Thank you so much for all your great posts and information! I lust after one of these. It would be a dream to win. I would love to have a blendtec…a powerful blender to use for food and not just shakes. My husband and I have been looking for a great new blender! Looks like this could be it! Yum, this recipe looks good and I would love to make it in that new blender that I could win! 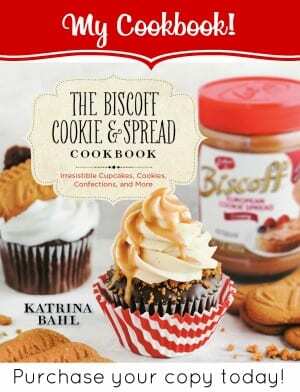 I would love to win this for holiday baking! I would love to have a blender that actually works! Would be great for making salsa and smoothies! Thanks for the banana bread recipe. My blender recently broke….I’d love to win! Omg sooo many things you can do with a blender I love making all kinds of things in it. They are so versatile and you can make so much in them. A new blender like this would be awesome. I’d love to use the Blentec to grind my own oat flour to make oat smoothies! Love banana bread, what a great idea. I make lots of breads, banana, date nut, zucchini but have never used a blender to make them. I don’t think my current one is powerful enough to do this but will have to give it a whirl. Wait to win this lol and make some. Thanks! 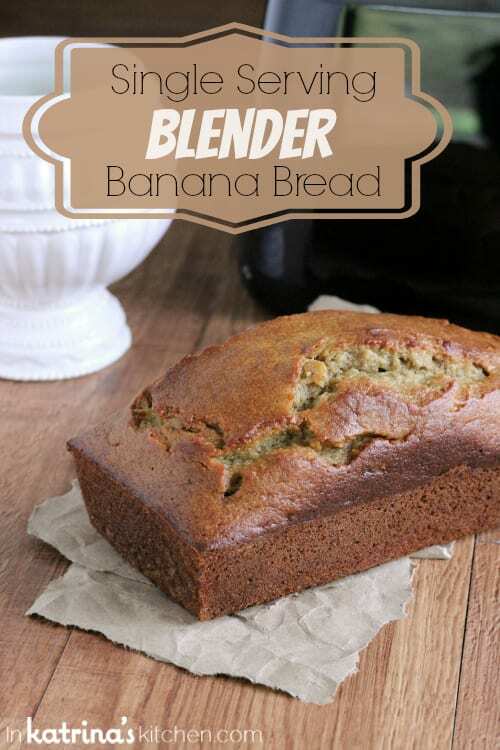 Never knew you could make banana bread in a blender! Then again, it IS a Blendtec. I have been wanting one of these things for years! I love banana bread! But I don’t like leftovers because I’m a diabetic and I can’t stop with just one if two are available. So this would work our really well. Thanks for the opportunity to win. I can’t wait to try this recipe! I love banana bread. Thanks for the chance to win! Would love to try a blender bread! I am always looking for new banana bread recipes to try. This one just made it to the top of my list! I’ve always wanted a blendtec! I love the idea of a mini loaf! I can never eat the whole thing by myself before it dries out! What a great giveaway! This will really help to force me to eat healthier! The blender and the bread look wonderful. The blender I could probably operate, the bread I likely couldn’t cook. I would so love to have one of these! I’ve wanted a Blendtec since forever! This recipe looks great too! What a great giveaway. I have heard these are great blenders. Thanks for the chance to win. What a wonderful treat this would be year round! I’m so excited just to enter. Looks so yummy. Thank you. Love the banana bread blender recipe! I will have to try it out, especially for those mornings when I’d like something yummy but don’t want to bake a whole loaf of banana bread. Thanks for the recipe and giveaway! How creative! I would have NEVER thought to make this bread in a blender. Love this recipe and I sure could use a new blender! Since I’m on disability, I would never be able to afford a blender like this. I have never actually owned a blender, Might make some smoothies for a change. Who knew…Banana bread in a blender! Always looking for new quick bread recipes. Thanks! 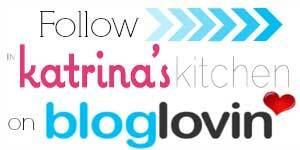 Love the blog great give away ! Love the idea of the single-serve banana bread. Muffins are great, but this way, you can slice it and add a little schmear of cream cheese if you want. Yummm. Nice looking blender. Great recipes on your site. I just found this blog and I’m so excited to try all the fun recipes. The Blendtec would be awesome. My blender broke years ago and I never replaced it. Having a *really* good blender would be a fantastic addition to my kitchen. I am a huge fan of Blendtec! We make smoothies everyday and have been saving up for a Blendtec. Winning this would be AMAZING !! I’ve been wanting a Blendtec for awhile now. Thanks so much for the opportunity to win one! I love banana bread! And I would love to have a Blendtec! I would love this blender! Would love to have this blender. I am with out a blender at all right now so this would be fantastic to have! i have heard such good things about blendtec blenders – i’d love to own one! What a cute idea – we love banana bread. I love this blender, I would love to have one in my kitchen! What a great post! I would love to see more “single serving recipes! And the blender looks fabulous, would love to have the chance to use that! ! Oh wow, what a give away! I want to win so bad!! I love banana bread, espcially when I add chocolate chips to it. Pick me! Pick me! I’ve been in search of a good blender many many years, I could sure use a real one! Oh this looks so PRETTY! I would LOVE to win this! 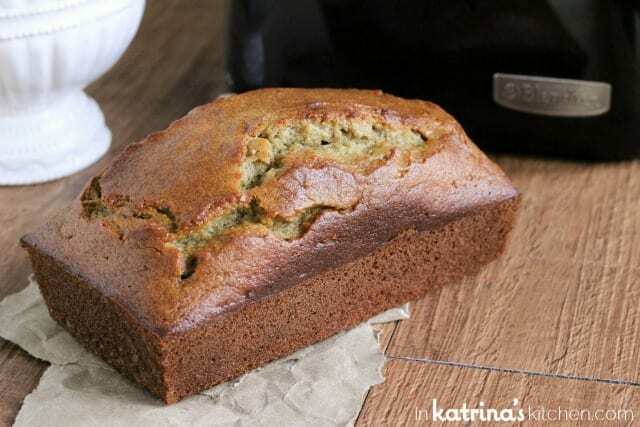 I love banana bread – what a great idea for making just a small portion! This looks wonderful. Can’t wait to try it. Oh how I need a new blender! This is the perfect size for when I want banana muffins for breakfast during the week. Thanks! These are delicious and I get so many requests for similar yummy goodness! Love your recipes, and the photos are gorgeous. I would love to win one of these! Thanks for the chance to enter! I’m not a fan of banana bread, but my grandfather would LOVE to try this! I’ve never made a quick bread in the blender – great idea! Banana bread in a blender, too easy. Must try! Can’t wait to give these a try this weekend! How awesome! I love how simple this recipe is! Yum! This would be a great Christmas gift to myself and make holiday cooking prep so much more fun and easy! Thanks for the opportunity! I know I’m a little late on the take but I have only recently really “discovered” the world of food blogs and healthy one-serving recipes, and I am completely hooked!! It seems like I’m trying a new quickie recipe almost every morning now (and at night for dessert!) but I never even thought of blender batter! SOLD! 🙂 I’m giving this one a shot right now…and maybe I’ll get lucky and win that amazing Blentec! Why should the guys be the only ones with the fun gadgets?! Fingers crossed! Id love to own a blender! Thank you for the giveaway! thanks for the great giveaway! I’d love to win this! Pizza dough and banana bread. I think this would work at my house. I’d love to have a blender that’s capable of mixing up pizza dough! This sounds so good! I have to make it. That looks like blender heaven !! !